Stefan, born and raised in Germany, studied to become a teacher before embarking on a carrier in training and working for multinationals in Germany, Switzerland and the United Kingdom. 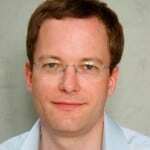 After spending several years at a consultancy in London, Stefan founded German Language Coach in 2007. Stefan has a passion for andragogy and teaching German. He teaches in London on a one-to-one basis as well as small classes. He constantly keeps up with his teaching methods and is currently studying methodology and didactics of foreign language teaching.